There are over 7 billion people on the planet, and only one of them is you. You’re unique. Be proud to stand out from the crowd. 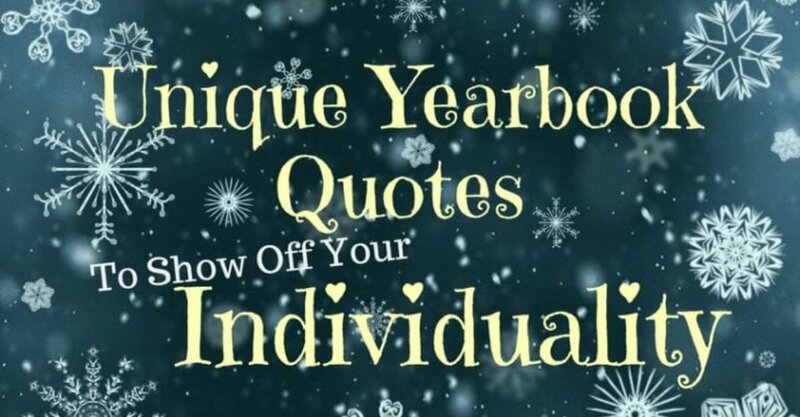 Add a quote to your yearbook comment that shows off your quirky and eccentric nature. *Yes, you can express your individuality through somebody else’s quote, and don’t let anyone tell you otherwise. That’s part of what makes you so utterly unique. For being different, it’s easy. But to be unique, it’s a complicated thing. I’d rather be a freak than a clone. We’re all unique, just never in the ways we imagine. That’s not enough. I need more quotes! Not a problem. Here’s the ultimate list of inspirational and motivational yearbook quotes.